SENSR is a speculative system of objective pain measurement tools designed for patients who are experiencing pain and their doctors. 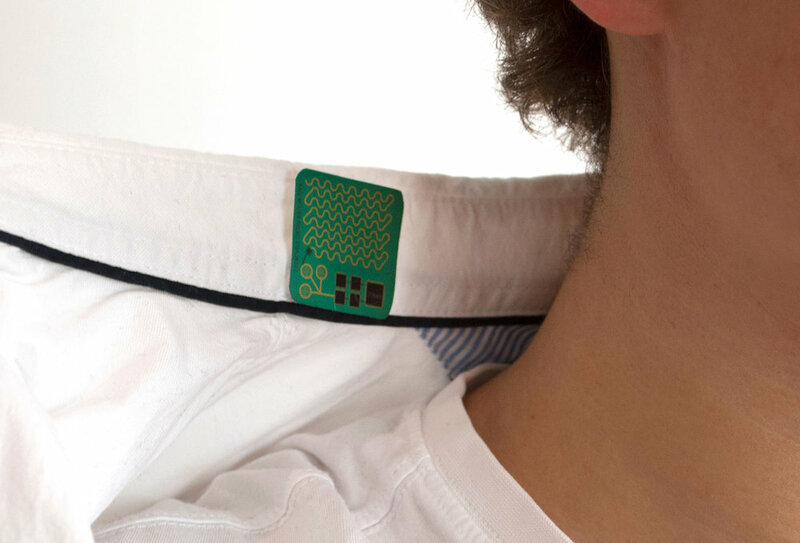 Designed by first-year students André Orta, Ellen Rose, Micah Lynn, Gustav Dyrhague, and John Boran, the components of the system are three-fold: A small wearable sensor patch for the patient, a hand-held transducer that the medical professional uses, and a visualization dashboard. The design interventions are the result of a research project focused on the challenge of treating pain responsibly amidst the American opioid epidemic—the subject of this year's Design Research and Integration course, and taught at Johnson & Johnson's NYC Design Center. "The figures are startling," argues the design team. "The United States consumes 80% of the world’s opioid supply (despite representing only 5% of the world’s population) to the effect that an average of 78 Americans died from an opioid-related drug overdose each day in 2016. There is clearly something catastrophically wrong with the pain treatment and prescription systems in this country." Because SENSR takes the form of a wearable, patients can continuously monitor pain fluctuations, generating a visual histogram for long-term chronic pain. SENSR aims to address the systematic misuse and abuse of opioids by intervening early in the user’s journey of pain management—during their first interaction with a doctor. "There are tensions and missed opportunities in this moment," offers Orta. "The disconnect between how the patient describes their pain in contrast with how the doctor understands their pain report; the disconnect between the abstract, subjective nature of pain self-reporting in contrast with the objective, analytic nature of other medical measuring procedures; the disconnect between different departments within a hospital systems, which a patient may have to navigate on their own; and the disconnect between what is the best treatment for the patient and what is covered by their insurance." The SENSR patch adheres to the patient’s skin directly (or on clothing, keeping in mind that pain may be generated by burn wounds) and monitors the flow of signals via neurons through the spinal cord and into the brain, where pain is experienced. "The science here is very complex and very nuanced," says the team, "so this product is speculative and depends on our future ability to isolate and track pain signals and intensity. But once tracked, the sensor would send the data via Bluetooth to the patient’s phone or computer, where it is visualized in a very straightforward UI." Because SENSR takes the form of a wearable, patients can continuously monitor pain fluctuations, generating a visual histogram for long-term chronic pain. The histogram then serves as a communication tool between doctor and patient. Click to enlarge posters above. Interviewing people about a sensitive subject (addiction) was touching and very teaching. It spiked a research fire in all of us. During the process, the team spoke with a variety of people in order to gain insights on the subject of pain and opioid addiction. "Initially we gained background knowledge on the metrics of the opioid epidemic and pain management from doing desk research. Then, we went into the field where we interviewed people who suffer from chronic and acute pain. We also interviewed doctors and alternative pain healers." After generating a bunch of ideas and created some prototypes, brought back the prototypes back into the field where we received feedback from experts at J&J, as well as various doctors and patients. "Our more than 100 initial ideas were very broad and different in their focus—ranging from a locked pill dispenser to a shock test to analyze one’s pain threshold. This enabled us to pick and choose with insights from the field in mind, and we believe that it elevated the quality of our final design. "The design process was interesting because we came to learn how there is a difference between acute pain and chronic pain. This was not clear before going into the field. Further, we were fortunate to receive feedback from subject matter experts because of the collaboration with J&J Design, and because of our status as students. Finally, interviewing people about a sensitive subject (addiction) was touching and very teaching. It spiked a research fire in all of us.